South Padre Island puts on not one, but two fireworks shows on weekends, May to October. 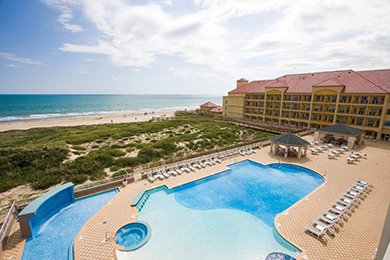 One of the best places to view those fireworks is the Hilton Garden Inn South Padre Island — the fireworks shoot off right outside of the hotel! 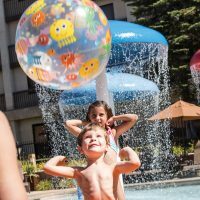 That’s just one of the flashy highlights (literally) at this brand name hotel, known to please with other perks for families — onsite dining, a swimming pool and complimentary Wi-Fi, to name a few. The hotel’s location on the beach, of course, is a major draw, but when it’s time for a break, an arcade, bicycles and a very special turtle sanctuary are yours for enjoyment. If all else fails, the hotel has ice cream — lots of it. 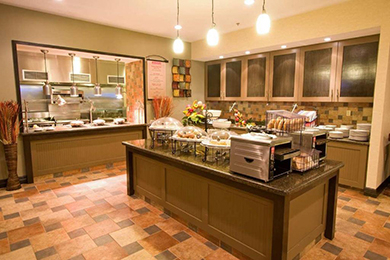 For more information, visit Hilton Garden Inn. The hotel has 156 rooms on four floors, and each one is equipped with a mini-fridge, microwave and free Wi-Fi. Connecting rooms, rollaway beds and cribs are available and free of charge; they just need to be requested in advance. Most rooms' bathrooms have shower/tub combinations for those needing to bathe young children. These rooms are the most basic, with one king bed or two queen beds. They can easily accommodate a family of four or five. These rooms, of course, feature views of the ocean and balconies. They offer two queen beds and a sleeper sofa, sleeping up to six (seven if you order a rollaway bed or crib). These rooms also sleep six or seven guests. They don't offer a view of the ocean, but do feature views of and easy access to the pool. These rooms have limited views of the ocean. They are equipped with one king bed and a sofa bed or two queen beds. They sleep four or five guests. Enjoyed a mini vacation with my best friends. We enjoyed every moment of our stay. The staff was exceptional. Our front desk clerk had a smile on her face, even with our 100 questions. 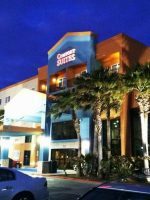 Alexis Perez was very friendly, helpful and because of her, would definetly stay at Hilton SPI again. The hotel is located right on the beach, and guests can get there via a private walkway. The hotel doesn't provide chairs and umbrellas, but rentals are available on the beach. Guests of the hotel also enjoy prime views of one of the island's fireworks shows, which take place on weekends from May through October. The hotel has a large swimming pool, along with a kiddie pool that has waterfall features. The pool is open 8 a.m. to 11 p.m. The hotel has a small arcade that features an air hockey table and a claw machine with -- get this -- the chance to win an iPad (and other cool prizes)! The arcade is open 10 a.m. to 10 p.m.
Bicycles are available to rent for $20 per day or $50 per week. Cruisers, tandem, children's and fat tire bikes can be rented. 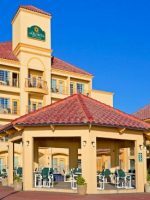 Guests of the Hilton Garden Inn are welcome to utilize the restaurants and pools at the La Quinta Inn & Suites located next door. 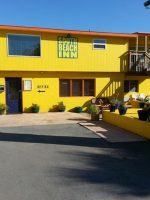 Sea Turtle Inc. is located just across the street from the hotel, and shouldn't be missed. Admission is free, though donations -- big or small -- are appreciated. 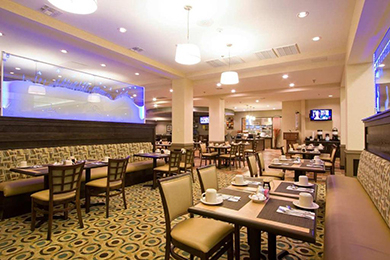 The Garden Grille & Bar serves breakfast, lunch and dinner in a casual setting. You can expect everything from cheeseburgers to Chicken Tikka Masala for lunch and dinner, and standard favorites, such as eggs and pancakes, for breakfast. Separate kids' options are also available, as are high chairs. Hours are 7 a.m. to 10 p.m., Sunday to Thursday, and 7 a.m. to 11 p.m. on Friday and Saturday. Note: As of 2015, the hotel's restaurant is expanding to include a stage for live music. The hotel has a small Starbucks with all of your favorites. All purchases can be charged to your room, but can quickly add up if you let the kids venture there alone -- especially since ice cream is also available! Wi-Fi is complimentary to all guests. The hotel has a small fitness center; it is open 24 hours. The hotel has coin-operated washers and two dryers. It costs $2 per cycle. The hotel has a business center, with printing, faxing and copying services complimentary to guests. 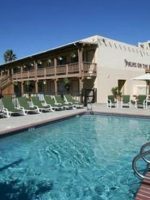 The hotel has an extensive market onsite, with everything from snacks to beach gear available. You can also purchase any toiletries you may have forgotten, such as toothpaste and bandages. The pantry is open 24 hours. The hotel's concierge can assist in planning visits to local attractions, and guests receive special discounts for Breakaway Cruises. 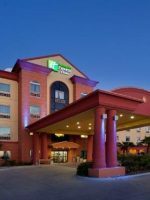 The Hilton Garden Inn fills to capacity during March, when spring break crowds travel to South Padre Island. The hotel is also busy during the summer months (as expected). If you're able to get away in October and September, consider visiting at that time -- there are fewer crowds and the temperatures dip just slightly. If you're traveling within Texas, opt to fly into Brownsville (BRO) or Harlingen (HRL). If you're coming from elsewhere, you might need to fly into Dallas/Fort Worth International Airport and take a connecting flight to one of the aforementioned airports. 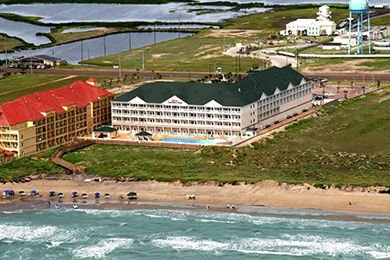 South Padre Island is small in size, but you'll still want a vehicle to visit local attractions and restaurants (unless you plan to stay on the beach the whole time and in that case, by all means... ). Parking is free at the hotel, and parking tags are provided at check-in. Parents can grab a beer on tap at The Garden Grille & Bar, or escape to the casual martini bar at the La Quinta Inn & Suites next door. Gabriella's, a short drive away, is a nice option if you have time and a babysitter. Don't miss the Chicken Marsala and Italian Wedding Cake.